1. The Quest for Annihilation: The Role & Mechanics of Battle in the American Civil War by Christopher Perello (Strategy & Tactics Press, 2009). As many Civil War readers who are also gamers know, Strategy & Tactics has been publishing magazines and games for years. They are now publishing book length military histories that will "follow (their) tradition in being analytical and technical rather than just narrative". 2. Upton's Regulars: The 121st New York Infantry in the Civil War by Salvatore G. Cilella, Jr. (Univ. Press of Kansas, 2009). At almost 600 pages, this is an uncommonly large regimental history of a unit that fought in most of the eastern theater campaigns from late 1862 onward. 3. Texas and New Mexico on the Eve of the Civil War: The Mansfield & Johnston Inspections, 1859-1861 by Jerry D. Thompson (Univ. of New Mexico Press, 2001). Scales: "Sherman Invades Georgia: Planning the North Georgia Campaign Using a Modern Perspective"
Setting aside necessarily non-narrative platforms (e.g. essay compilations, reference books, and edited diaries, letters, etc. ), there is relatively little in the way of format experimentation in Civil War publishing. 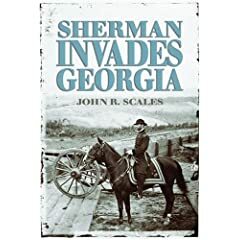 However, Sherman Invades Georgia by John R. Scales is one such book, a decision analysis of the opening moves of William T. Sherman's 1864 Atlanta Campaign. Written by a retired general, the book uses modern operational planning templates designed for current army officer training. Nevertheless, the book remains very accessible reading for the interested non-professional. Although these analytic techniques were designed long after the Civil War, the insights remain relevant. At the very least, they aid in the clear articulation of the options available to a Civil War army commander in a given situation. Chock full of maps, tables, flow charts, matrices, and worksheets, General Scales's study can be skimmed quickly, but the careful reader is rewarded by a thorough consideration of the decision making tools outlined by the author. The first few chapters are definitional, necessary given what is to follow. In them, Scales defines Civil War organizations, operations, combat functions, and styles of warfare -- subjects many students will find quite familiar. From there on, the reader is exposed to a step-wise construction of an operational plan, using the methods of modern U.S. commanders. Covering only the initial phase of the 1864 Atlanta Campaign in detail, the study is further narrowed to only General Sherman's operational perspective [in this section, the Confederate situation is viewed only through the lens of what Sherman's intelligence network knew at the time]. The planning phase begins with a statement of mission and situation analysis, before moving on to the development of a course of action. The enemy's possible initiatives are also analyzed and compared, with best courses explained and defended. This framework is supported abundantly with maps, tables, and charts. The final section of the book looks at the Confederate situation more objectively, and also summarizes the historical course of the campaign. A staff ride is included, too. In terms of its value to current military professionals, I will leave an assessment of Sherman Invades Georgia to others, but, as a detailed examination of the components of the operational art of war, this book is a useful educational tool for interested historians and avocational readers. The terminology may be modern, but the concepts are timeless. Recommended. I reviewed Donald Frazier's Fire in the Cane Field: The Federal Invasion of Louisiana and Texas, January 1861-January 1863 (State House Press, 2009) in early May. There was a hiccup with the distributor at the time, but the book is now widely available. I just wanted to mention it again, as it's a fine book that kicks off a new 4-book series covering the Civil War in Louisiana and parts of Texas. Grow: " "Liberty to the Downtrodden": Thomas L. Kane, Romantic Reformer "
An upper class Pennsylvanian raised in a strict Presbyterian household, Thomas L. Kane was nevertheless an iconoclast and an important figure in the social reform movements of mid-19th century America. He went through an atheistic period before reconversion to nondenominational Christianity. Kane was an abolitionist and an anti-evangelical, at the same time campaigning for women's rights and religious freedom for minority groups (such as the Mormons). Founded on research into previously untapped sources, Matthew J. Grow's "Liberty to the Downtrodden" is first full, scholarly biography of Thomas Kane. The vast majority of the book deals with Kane's personal life and the public crusades mentioned above, especially his defense of and intimate involvement with the Mormons. Serving in an unofficial capacity, Kane successfully negotiated a peaceful settlement between the U.S. government and Brigham Young during the 1857-58 "Utah War". Grow's coverage of this period is a highlight of his study. The Pennsylvanian later became a personal friend and adviser to the Mormon leader. A brief chapter is devoted to Kane's Civil War career. With the outbreak of war, Kane cast away his pacifism, serving as the first lieutenant colonel of the famous "Bucktail" regiment. Wounded at Dranesville in 1861, he recovered only to be wounded again during the 1862 Shenandoah Valley Campaign. Promoted to brigadier general, Kane fought at Chancellorsville and Gettysburg, before finally resigning in November 1862 due to ill health and the lingering effects from his wounds. At least in terms of the military aspects of Kane's involvement in the 1861-1863 campaigns and battles, the author's treatment of this period is fairly cursory in nature. His work founded on a large cache of archival material [although I wish author and publisher had elected to include a bibliography], Grow has crafted an insightful and original biography of a Civil War general and prominent advocate of a number of 19th Century progressive movements. The author's acknowledgment of Kane's involvement in the substantial reform wing of the Democratic party (although he did switch to the Republicans in 1861) also serves as a useful reminder that the stereotypical popular view of antebellum Democrats as a reactionary political force is an overly simplistic and inaccurate one. Finally, given the importance of the long standing and beneficial relationship between Kane and the Mormon church leadership, historians and students of LDS history will find the volume an essential library addition. Dimitri is right about the recent upsurge in releases. 1. Sister States, Enemy States: The Civil War in Kentucky and Tennessee edited by Kent T. Dollar, Larry H. Whiteaker, and W. Calvin Dickinson (Univ. Press of Kentucky, 2009). A fascinating pairing, for sure. This book is eighteen essays, divided into three sections covering secession, the nature of the war and its participants, and Reconstruction. 2. A Savage Conflict: The Decisive Role of Guerrillas in the American Civil War by Daniel E. Sutherland (Univ. of North Carolina Press, 2009). 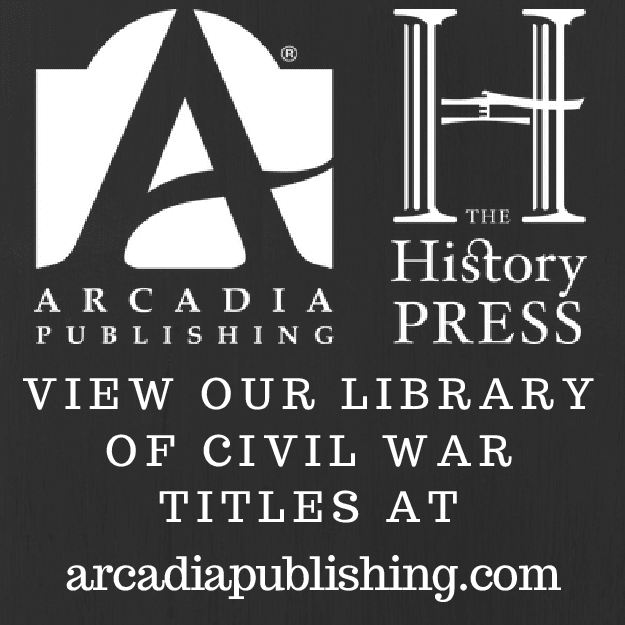 The Civil War guerrilla warfare literature (from professional historians and avocational writers alike) is dominated by local and regional studies. With Sutherland we get instant credibility from a top authority on the subject, and I am guessing that this publication will be the best 'big picture' book to date. 3. In the Trenches at Petersburg: Field Fortifications and Confederate Defeat by Earl J. Hess (Univ. of North Carolina Press, 2009). The third and final installment from Hess's series [reviews of Vol. 1 and Vol. 2]. In addition to his impressive reconstruction of battlefield fortifications (from a combination of archival research and field work), Hess's series has always had significant thematic elements, as well. It will be interesting to see what he came up with for the Petersburg Campaign. McMichael: "Sacred Memories: The Civil War Monument Movement in Texas"
As anyone skimming the current output of peer reviewed journals and university presses is already aware, the field is fairly awash with inquiry into various aspects of historical memory. Permanent public monuments have always been an important way for American communities to commemorate important persons, places, or events. A common theme in memory studies is the notion that monuments often tell later generations at least as much about those erecting the monument as they do about their subject. In the introduction to her book In Sacred Memories: The Civil War Monument Movement in Texas history professor Kelly McMichael takes this to heart, noting that Civil War monuments reflect the values and political agendas projected by those in power at the time. Sacred Memories examines 68 large, stone and bronze monuments erected in Texas, most by the United Daughters of the Confederacy for placement on courthouse lawns. However, a few were initiated by veterans, and three (at Comfort, Denison, and a joint one at New Braunfels) are Union memorials. The book is divided into seven sections based on geography, and a series of small maps depict the general location of each monument. Information provided for each site include directions, mention of the individual(s) or group responsible for its creation, a brief physical description (some have photos), an account of the dedication ceremony and purpose of the memorial, and any relevant controversies. The text is annotated (although a bibliography is absent), and an appendix lists the monuments in tabular format. 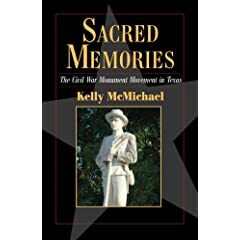 Sacred Memories is an informative survey of the Civil War monument movement in Texas (which reached its height between 1900 and 1915) at the state and local level. Its summaries of the particulars behind all 68 major public memorials throughout the state also enhance the book's value as a reference work. 1. The Maps of First Bull Run: An Atlas of the First Bull Run (Manassas) Campaign, including the Battle of Ball's Bluff, June-October 1861 by Bradley M. Gottfried (Savas Beatie, 2009). FBR is my favorite eastern theater battle so I am diving into this one right away. I'll pass on giving first impressions and just save it for the review. 2. From Cape Charles to Cape Fear: The North Atlantic Blockading Squadron during the Civil War by Robert Browning, Jr. (Fire Ant Books, 2003). Originally published in 1993 by University of Alabama Press, this is the paperback reprint from their Fire Ant imprint. I hold Browning's work in high esteem (his awards are much deserved), and hope he goes on to do the Gulf squadrons someday. 3. The Complete Gettysburg Guide: Walking and Driving Tours of the Battlefield, Town, Cemeteries, Field Hospital Sites, and other Topics of Historical Interest by J. David Petruzzi and Steven Stanley (Savas Beatie, 2009). I haven't removed the shrink wrap yet, but J.D. 's Complete Gettysburg Guide website for the book gives you all the information you need. I bet a paperback edition will be in the offing for those summer trampers who won't want to expose perspiring brows and palms to their the nice hardcover copy. Woodworth (ed. ): "The Shiloh Campaign"
The Shiloh Campaign is the first volume of Southern Illinois University Press's Civil War Campaigns in the Heartland series. Steven Woodworth, the author of many western theater titles, is an excellent choice for series general editor, and here he has assembled eight scholarly essays (all by academic historians). The compilation is heavily focused on the military aspects of the Shiloh Campaign, and one hopes the budding series will grow into a worthy western themed counterpart to UNC Press's Military Campaigns of the Civil War series. The first essay, by John Lundberg, offers a spirited defense of Albert Sidney Johnston's leadership during the Shiloh Campaign. His refutation of the notion that Johnston was indecisive and lacking in confidence is largely effective; however, interesting as it may be in conception, Lundberg's argument that the general's offering of army command to P.G.T. Beauregard was not a significant sign of weakness is ultimately unpersuasive1. The author's contention that Johnston was unusually ill served by major subordinates is also well taken, but, even so, the commanding general's lack of oversight and knowledge of Beauregard's poorly conceived battle plan until it was too late to change is indefensible. The book's next two chapters are the most tactical in nature, with Alexander Mendoza's account of brigade commander David Stuart's defense of the Union far left flank and Timothy Smith's summary of the Hornet's Nest fighting. Smith's article is additionally focused on the historiography and memory of the Hornet's Nest sector of the battlefield, concluding that its importance has been greatly exaggerated2. Some chapters examine familiar controversies. Steven Woodworth does a fine, objective job of outlining the contentious circumstances and timeline surrounding Lew Wallace's march to the battlefield on April 6. Gary Joiner explores the effectiveness of U.S. naval gunfire, reiterating his 'skip shot' theory and providing evidence for its demoralizing effect on Confederate forces, as well as the navy's direct role in turning back the late afternoon Confederate assaults on the Union left. Grady McWhiney's essay, previously published in 1983, is critical of Beauregard's evening decision to suspend the offensive with sufficient light to continue and publicly declare victory. For his article, Charles Grear sifted through diaries, letters, and reminiscences to gather evidence about how Confederate soldiers viewed the events at Shiloh. Perhaps surprisingly, given the relative chaos of the retreat, he finds that most soldiers viewed the battle as a draw, although with heavy doses of concern about the future. In the final essay, Brooks Simpson pierces several myths about U.S. Grant, demonstrating that President Lincoln's advocacy was far from unshakable and it was timely and unexpected support by General Henry Halleck that did much to allay calls for Grant's removal. One is also persuaded by Simpson's contention that William T. Sherman's support for Grant in the aftermath of Shiloh is better viewed in the context of a sympathetic sounding board than an impassioned promoter of his commander's generalship. While the book's material quality and scholarly representation bodes well for the series, The Shiloh Campaign is wanting in several aspects. The lack of an essay focusing on the second day of the battle mirrors the Shiloh literature's larger neglect of the April 7 events. Tighter copyediting was needed, and additional cartography [the absence of maps for Mendoza's tactical article was a critical omission] and illustrations would have greatly enhanced the study's clarity and presentation. Regardless, some growing pains are to be expected with a series's first volume, and The Shiloh Campaign's strengths certainly do outweigh the weaknesses. Western theater scholars and students have been hoping for a series of this type for some time, and with continual improvements in presentation and content freshness, one hopes the run of Civil War Campaigns in the Heartland will prove to be a lengthy and fruitful one. 1 - The point is made that the offer was not pressed, and was perhaps not seriously entertained. Knowing Beauregard would not accept, it may also have been a ploy to outwardly reaffirm Johnston's superior position. 2 - Smith's point of view on this matter has also been expressed in previous publications -- Shiloh and the Western Campaign of 1862 (Savas Beatie, 2007), The Untold Story of Shiloh: The Battle and the Battlefield (UT Press, 2006), and This Great Battlefield of Shiloh: History, Memory, and the Establishment of a Civil War National Military Park (UT Press , 2006). Fall '09 Westholme release: "Cavalry of the Heartland"
Just got the Westholme Publishing Fall 2009 catalog in the mail. I already knew about the new book from Russell Bonds, but was pleasantly surprised to also find the listing of an upcoming western cavalry study by the prolific Edward Longacre, titled Cavalry of the Heartland: The Mounted Forces of the Army of Tennessee (November 2009). Bulla: "Lincoln's Censor: Milo Hascall and the Freedom of the Press in Civil War Indiana"
In his new book Lincoln's Censor, journalism historian David W. Bulla argues that the popular view of a libertarian press privilege in America is a largely modern phenomenon, cemented by a series of landmark legal antecedents. Although journalistic freedom has always been assumed, 18th century newspapers, by contrast, were partisan party presses, and threats against them by political enemies commonplace. According to Bulla, even by the Civil War period, broad reaching high court legal tests of press freedoms remained in the future. In fact, in the matter of opposition newspaper suppression, one can find plenty of precedent throughout American political history (much of which Bulla summarizes). It was expected that the side in power would actively seek to restrict the publication and distribution of hostile papers. The Civil War would be no different. The specific period and location analyzed in Lincoln's Censor is the spring of 1863 in Indiana. During that time, the state's military defense was overseen by district commander and West Point trained Brigadier General Milo Hascall. Under the umbrella of department commander Major General Ambrose Burnside's General Order No. 38, Hascall's own General Order No. 9 made opposition to conscription and emancipation tantamount to treason. This measure led to the suppression of eleven Indiana newspapers (all Democratic). Dozens more were unofficially threatened or actively disrupted. Any useful contextual analysis requires the presentation of a certain amount of background information. What's unusual with Lincoln's Censor is the breadth and depth of coverage. In fact, this background exercise comprises the bulk of the text. An extensive social, political, and legal (specifically, the responsibility-for-abuse clause of the press section of the Indiana Constitution) history of the state is provided, as well as a discussion of antebellum press freedoms at the state and national level. Bulla outlines in some detail the newspaper suppression activities of previous presidential administrations, as well as additional Civil War period examples taken from other northern states. The author's examination of Hascall's activities led to some intriguing observations. All of the officially suppressed newspapers were located in Republican majority counties, and in mostly smaller towns situated in the far north section of the state. This leads to some interesting questions. Hascall was a native of the area, and perhaps his choices were ones of familiarity, but was it also a carefully crafted strategy of intimidation -- to suppress Democrats in safely Republican areas in order to send a message to the entire state, yet at the same time minimize the risks of dangerous public disturbance in affected towns? Also, at the time of Hascall's actions, the Democrats had recently scored majority gains in both houses of the Indiana legislature and in U.S. congressional seats. The general's suppression effort, claimed to be nonpartisan in nature, could nevertheless be reasonably construed by ideological dissenters as a partisan political act disguised as a war measure. President Lincoln's role in all this was indirect. While he did not order or provide prior authorization for Burnside and Hascall to close critical newspapers and jail their editors, he tended to let his commanders's actions stand while politically expedient. The author's own opinion of Hascall's motivations is a largely benign one, but readers are invited to draw their own conclusions. Deeply researched, packed with well presented background and supporting material, and accompanied by a host of maps and tables, Lincoln's Censor provides readers with an insightful analysis of wartime freedom of the press in 18th century America and Civil War Indiana in particular. 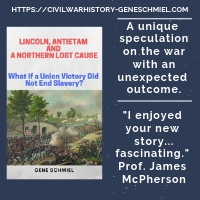 Its keen observations, and important questions raised, provide much in the way of weighty pondering for both Civil War and journalism students. Recommended. Author Peter Cozzens confirmed in a Shiloh Discussion Group thread yesterday that he is working on a Shiloh battle history. The contract is for six years (no mention of publisher yet), so we'll have to wait a little while for it. I was never a fan of the roundtable discussions in previous issues of N&S magazine, but the latest one (in issue 11:3) about irregular warfare is quite good, a mostly excellent summary of the state of current scholarship and where it needs to go next. Along with the contributions of Ethan Rafuse and John Inscoe, one of the better commentaries was from University of Arkansas's Daniel E. Sutherland. Long maintaining the notion that guerrilla warfare was central, rather than peripheral, to the way the Civil War was fought, Sutherland's argument has been reinforced by the accumulation of books and articles published on the subject in recent years. Soon, with A Savage Conflict: The Decisive Role of Guerrillas in the American Civil War (UNC Press, June/July), we will finally have the book length project that will presumably explore in greatest depth so far his revisionist (at least they used to be considered revisionist) views. 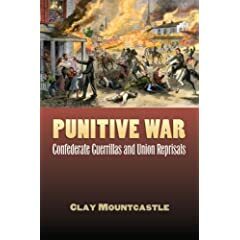 In September, University Press of Kansas will publish Clay Mountcastle's Punitive War: Confederate Guerrillas and Union Reprisals , a work that seems to pick up on many of the same themes, but with a special emphasis on how southern guerrillas shaped the nature of the Union's prosecution of the war. Guerrilla tactics are rarely discussed beyond a piecemeal fashion or only in specific contexts, so Osprey's American Civil War Guerrilla Tactics (September) may prove interesting, despite the publisher's deserved reputation for uneven output. Finally, in October, LSU Press will release Barton A. Myers' Executing Daniel Bright: Race, Loyalty, and Guerrilla Violence in a Coastal Carolina Community, 1861-1865 , another in a line of scholarly local studies that have incrementally served to shape our current understanding of both guerrilla warfare and the character of the war most typically experienced by the south's civilian population. "The New Civil War Handbook"
In the foreword to The New Civil War Handbook: Facts and Photos for Readers of All Ages (Savas Beatie, 2009) author Mark Hughes credits William Price's The Civil War Handbook* for inspiring his lifelong interest in the subject. Hughes hopes that his own handbook will provide the same service. Heavily illustrated and non-narrative in nature, he's chosen a pithy and largely visual format that will likely appeal to the tastes and nature of the young audience of today (at least that's the stereotypical view), especially those that have grown up gathering most of their information from the internet. Hughes divides his book into four sections. The first gathers quotations, quick facts, and other trivia type elements. The second, and largest, section is a captioned photo gallery, its images widely inclusive [e.g. generals, soldiers, battles, women, POWs, hospitals, civilians, etc.]. Part three is composed of tables [e.g. numbers, losses, causes of wounds and deaths], and the final section, miscellany such as a glossary and book, website, and blog lists. I think Hughes succeeds in what he has set to do, provide an appropriately structured introductory level reference guide for the uninitiated. Like an earlier commenter, Harry at Bull Runnings, I think the book will speak best to young adults with little prior exposure to Civil War studies. If The New Civil War Handbook helps inspire a new generation of Civil War readers and preservationists, the author will have done well. * - I don't think I've ever cracked open Price's book, so I can't compare the two. My own initial childhood foray into the Civil War was The How And Why Wonder Book of The Civil War by Earl Schenck Miers and Leonard Vosburgh. 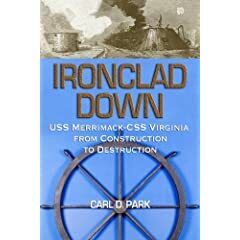 "Ironclad Down: USS Merrimack-CSS Virginia from Design to Destruction"
The brief naval career of the CSS Virginia is not one starved of coverage, but the content emphasis and beauty of presentation of Carl D. Park's Ironclad Down: USS Merrimack - CSS Virginia from Design to Destruction (Naval Institute Press, 2007) sets it apart from the crowd. The book begins with biographical sketches of Confederate navy secretary Stephen R. Mallory, Virginia constructor John L. Porter, and ordnance and instrument engineer John M. Brooke. From there, the author launches into a detailed discussion of the Virginia's technology, design, armament, and construction. With perhaps recognition that the subject's been covered well already, the naval fighting at Hampton Roads and the ship's ultimate destruction is dealt with only briefly. Park, a master modeler and professional artist, is obviously enamored with the design of the ironclad. His own beautifully rendered drawings (especially those of the framing and construction of the hull, decking, pilot house, and casemate in Chapter 11) are sprinkled throughout the text, and are supported by an abundance of photographs, maps, and other illustrations. The study's high gloss paper also really sets off its first-rate presentation. While intended for a broad audience, the book is nevertheless a detail oriented treatment that should impress even the most dedicated students. This is a book all Civil War naval enthusiasts will want to own. 1. 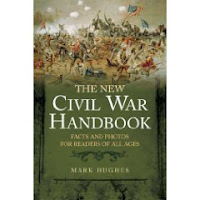 The New Civil War Handbook: Facts and Photos for Readers of All Ages by Mark Hughes (Savas Beatie, 2009). Click here for a summary recently posted by Harry at Bull Runnings. My own first impression is similar. 2. Homegrown Yankees: Tennessee's Union Cavalry in the Civil War by James Alex Baggett (LSU Press, 2009). This is a thick tome that looks to be focused on the organizational and military history of the Union Tennessee cavalry regiments. 3. "Liberty to the Downtrodden": Thomas L. Kane, Romantic Reformer by Matthew J. Grow (Yale Univ. Press, 2009). Kane helped raise and lead the famous "Bucktail" regiment of Pennsylvania Reserves. Promoted to brigadier general, he served until late 1863, when he resigned due to ill health. The focus of Grow's biography appears to be Kane's public defense and promotion of social, religious, and political causes and freedoms, especially that of the Mormons. Caudill: "Moss Bluff Rebel: A Texas Pioneer in the Civil War"
Born in Louisiana, William Berry Duncan was a Texas immigrant, his Lone Star residency spanning what must have been a bewildering series of momentous political changes over a relatively brief period of time -- Texas being a Mexican province, independent republic, and a U.S. and Confederate state, all within a thirty year period. Duncan lived an active but abbreviated life, dying at the age of 49 just two years following the end of the Civil War. Before the war, the twice married Duncan was a large landowner and minor slaveholder. He was also employed as a sheriff and cattleman, driving large beef herds along the Gulf trails connecting Southeast Texas with major markets at New Orleans. 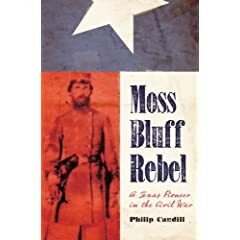 However, the vast bulk of author Philip Caudill's biographical study of Duncan, titled Moss Bluff Rebel: A Texas Pioneer in the Civil War, covers his subject's wartime service as an officer in the 11th Texas (Spaight's) Battalion. While the author drew his research from a satisfactory range of primary and secondary sources, the many diaries written by Captain Duncan comprise the heart of his original research material. Caudill's account of Duncan's leadership ability is an admiring one, but he doesn't shy away from the Texan's heavy drinking and gambling. Duncan was fortunate among Confederate soldiers in that he was able to frequently visit his home. Additionally, he and his company experienced very little direct combat, given their length of service from 1862 onward. Nevertheless, Duncan's health was precarious throughout, and, rendered worse by heavy alcohol abuse, it failed altogether in 1867. In some ways, Moss Bluff Rebel is as much a unit history of Spaight's Battalion as a biography of Capt. Duncan. Captain Ashley Spaight raised a militia cavalry company from Liberty County (the "Moss Bluff Rebels"), and, in the spring of 1862, his unit became the final addition to the six-company 11th Texas Battalion. With now Lieutenant Colonel Spaight's elevation to battalion leader, Duncan was awarded command of Company F. Between 1862 and 1865, the battalion operated within a narrowly defined geographical area. Beyond short stints in Louisiana, the unit was constantly on the move inside Texas, ranging back and forth between Houston and Niblett's Bluff on the Texas border with Louisiana [The book includes three nice maps of these areas]. Much of the time, the battalion was part of Major General John B. Magruder's military district. Both Spaight and Duncan held a low opinion of Magruder's character and ability, and the author seemed to adopt the same judgment by extension, despite the general's successes. While the battalion's fighting role beyond the May 1864 Confederate victory at Calcasieu Pass was minimal overall (Company F's even less), Caudill's account nevertheless provides an informative and valuable portrait of the Civil War in SE Texas and of an individual of regional significance, William B. Duncan. Moss Bluff Rebel is recommended reading for researchers and students of Civil War Texas. * - Caudill runs a nice author website for Moss Bluff Rebel. When putting together his study for publication, he constructed some rather extensive sidebar notes for each chapter. While these did not make it into the book, they are available for viewing on his website here. They are worthwhile reading. 1. Border Warfare in Southeastern Kansas, 1856-1859 by G. Murlin Welch (Linn County Historical Society, 1977). This book is the first published edition of Welch's 1938 Master's thesis, a study of the conflict between free state and proslavery forces in Linn and Bourbon counties. Despite its almost complete reliance on free state sources, it's well regarded for its attempt at objectivity and is commonly found in the bibliography of current popular and academic studies. For publication, additional notes were added by editor Dan L. Smith to include newer references, as well as illustrations and maps. I believe there is a paperback reprint edition available, too. 2. Deserter Country: Civil War Opposition in the Pennsylvania Appalachians by Robert Sandow (Fordham Univ. Press, 2009). Over the past 20 years, Appalachian studies have provided innumerable insights into issues such as wartime dissent, class differences (social and economic), unionism, and guerrilla warfare, but all, or nearly all, center on the southern range. Sandow brings the focus back up north, and it will be interesting to see the result. 3. Lincoln's Navy: The Ships, Men and Organization, 1861-65 by Donald L. Canney (Naval Institute Press, 1998). 4. Wars within a War: Controversy and Conflict over the American Civil War edited by Joan Waugh and Gary W. Gallagher (UNC Press, 2009). 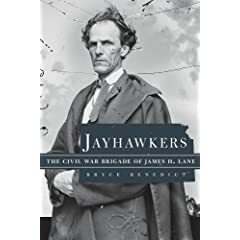 Benedict: "Jayhawkers: The Civil War Brigade of James Henry Lane"
U.S. Senator from Kansas James Henry Lane has been the subject of two recent biographies, by Robert Collins and Ian Michael Spurgeon1. While both works delve into Lane’s personal and political life, neither examines the senator’s military exploits in detail. Happily for Trans-Mississippi theater historians and students everywhere, the publication of Bryce Benedict’s Jayhawkers: The Civil War Brigade of James Henry Lane marks the first scholarly effort at filling this not inconsiderable gap in our collective knowledge about this (in)famous unit and its 1861-62 operations along the lower Missouri-Kansas border. In organization and leadership, the “Lane Brigade” [essentially, the 3rd, 4th and 5th Kansas regiments2] was more than a bit irregular. Lane himself could not legally hold his senate seat and serve as a brigadier general at the same time, thus his command authority was constantly at issue (and rightly so) as he tried to have it both ways. The regiments were initially a hodgepodge of infantry, cavalry, and artillery companies. In fact, Benedict does a very commendable job of researching and sorting out this bizarre organizational mess, for various periods and at considerable length. His research efforts have injected a much needed dose of clarity on the matter. The Lane Brigade’s area of operation during the Civil War consisted basically of a stretch of nine SE Kansas/SW Missouri border counties. Beyond the skirmish at Dry Wood (or Drywood) Creek in September 1861, the Lane Brigade experienced little in the way of regular combat, but the units participated in many raids into Missouri, largely against civilian targets. The senator was a very early advocate of the application of “hard war” against the property of pro-secession Missourians. While his extreme rhetoric was often more bark than bite, the men under his command did frequently burn private dwellings and plunder personal property in violation of orders (suffering little if any punishment). Murders and prisoner executions were not unusual; however the author found little corroborating evidence for many claims made against the Kansans by contemporaries and historians. Benedict believes the Lane Brigade is often singled out unfairly, considering that the units of John C. Fremont’s army committed the same abuses in their advance into western Missouri in October 1861. Jayhawkers also devotes significant attention to the brigade’s role in the disruption of slavery inside the border counties of Missouri. Lane recognized that slavery could be ended anywhere his forces marched, either by seizing them directly or providing protection for runaways seeking asylum to the west in Kansas. While abhorring the institution of slavery, the senator himself was adamantly against whites and blacks living together in peace, preferring permanently separate settlements. Benedict’s research is solid. His bibliography and notes demonstrate the source diversity – in manuscripts and other archives, court records, newspapers, books, pamphlets, and articles – readers have come to expect from better modern military studies. The author also included a number of useful appendices. In the first, Benedict summarized the early spring 1862 reorganization that basically ended the military entity known as the Lane Brigade. He also inserts a brigade staff list, and a brigade casualty assessment with a detailed list of deaths [name, date, company, cause, location] attached. A source of dissatisfaction is the dearth of cartography and illustrations. There is only a single map tracing county boundaries and select locations. I was crestfallen not to find a tactical map of the brigade's only truly stand up fight at Dry Wood Creek, something I’ve yet to encounter in the literature. Illustrations are similarly sparse, with a small image gallery placed at the book’s midpoint. While most of the literature, at least the popular writing, still portrays the pro-Union contribution to guerrilla warfare in Missouri as primarily reactive in nature, I would liked to have seen Benedict's study more directly address the role of the Lane Brigade in shaping the character of the savage irregular fighting that reached a terrible level of viciousness in Missouri from late 1862 onward. Benedict recognizes the first-strike nature3 of the brigade's operations, but his book, and its analysis, ends in the first half of 1862. To what degree did the Lane Brigade's brand of "hard war" in western Missouri accelerate the brutality of the guerrilla conflict in the region? Ultimately, what was the brigade's military legacy? These questions went largely unanswered. One could also wish for a more in depth treatment of the 1861 sacking of Osceola, Missouri, the most controversial single event involving the brigade. Nevertheless, none of these quibbles detracts from the great value and significant strengths of this work. Benedict succeeds in presenting a balanced portrait of the Lane Brigade, acknowledging the unit’s lack of discipline and propensity for unlawful plunder while at the same time effectively repudiating (or at least casting serious doubt upon) many of the baser behavioral accusations made by contemporary enemies and later historians. Well researched and documented, Bryce's Benedict's Jayhawkers is a fine offering, one that the scholarly literature has needed on this subject for a very long time. Highly recommended. 1 - Man of Douglas, Man of Lincoln: The Political Odyssey of James Henry Lane by Ian Michael Spurgeon (Univ. of Missouri Press, 2008) and Jim Lane: Scoundrel, Statesman, Kansan by Robert Collins (Pelican, 2007). 2 - The 6th Kansas and the command of Charles R. "Doc" Jennison often cooperated with the units of the Lane Brigade and thus were also covered in the book. 3 - Throughout its rather brief existence, the Lane Brigade vigorously adopted the "best defense is a good offense" strategy. It was hoped that constant raids into Missouri would occupy the attention of regular and irregular enemy forces, leaving them little opportunity to launch their own incursions into Kansas. While successful to a significant degree, the jayhawker strategy would nevertheless render hollow claims that the operations were essentially retaliatory in nature. Booknotes - "No Holier Spot of Ground"
No Holier Spot of Ground: Confederate Monuments and Cemeteries of South Carolina by museum curator Kristina Dunn Johnson (The History Press, 2009) is a pictorial history of South Carolina's Confederate monuments and resting places, as well as an examination of the statewide movement that created them. Not meant to be considered a definitive compilation [the author recommends Robert Seigler's Passing the Silent Cup: A Guide to Confederate Monuments in South Carolina as the best reference], Johnson, using a variety of published and unpublished sources, adopts a selective approach, one that allows a deeper exploration into meaning and trends. 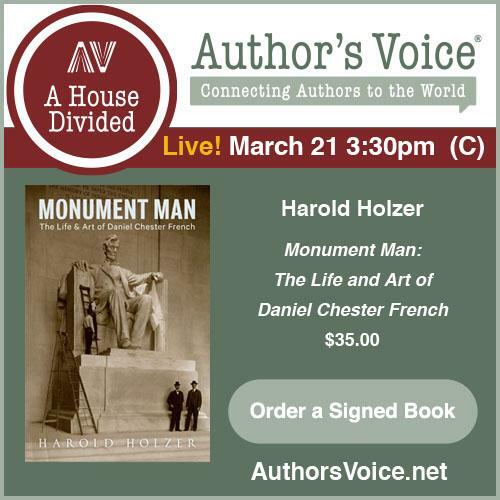 As with most titles from this publisher, this volume is abundantly illustrated with dozens of photos of monuments, gravesites, and dedication ceremonies.